Not many postable updates as of late. But between the wedding, bachelorettes and long-term project, rest assured I've been PLEANTY busy! So busy, in fact, that I've been having a difficult time keeping tabs on my etsy shop. 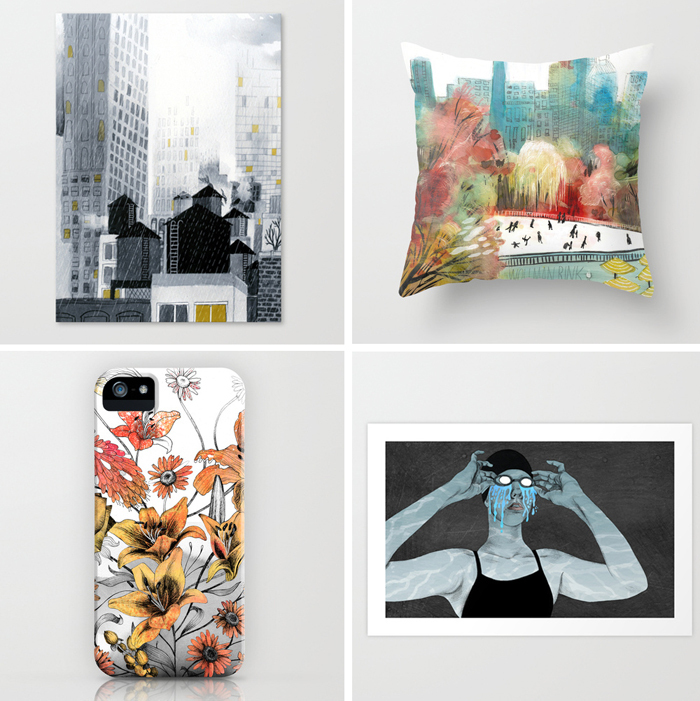 SO, you'll see that my shop link above now leads directly to my Society6 site where you can buy all kinds of neat things like art prints, pillows and cell phone cases (I just purchased this one here). For a limited time, when you follow THIS LINK you can even get free shipping. Pretty cool, eh? The best part is, I don't have to do a darned thing...well, except make the artwork of course, but that's the easy part. My etsy shop will remain open, but I won't be posting anything new for a while.